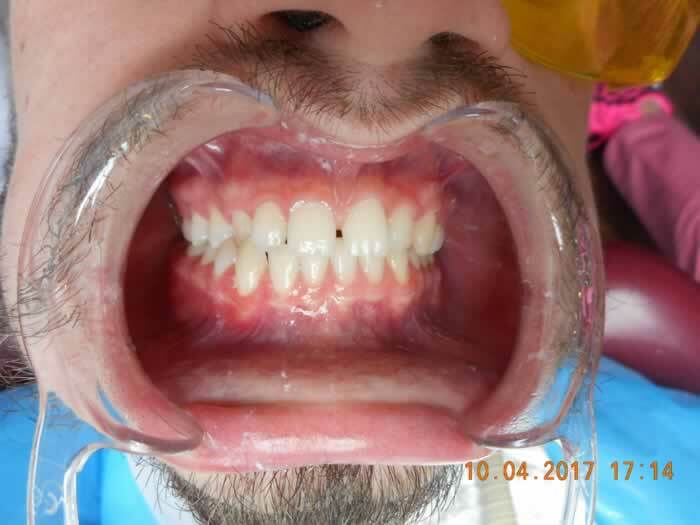 This patient was never happy with the appearance of his front teeth. 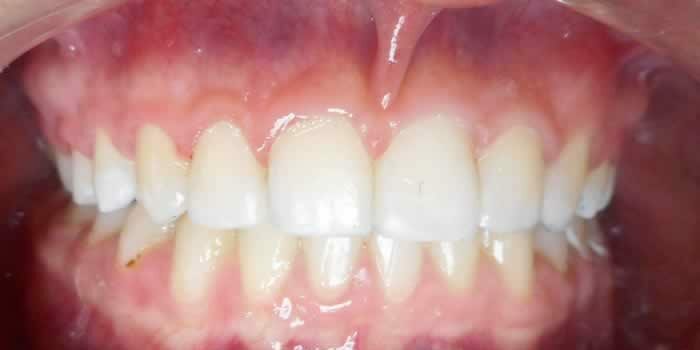 He had gaps between his teeth and also a cross-bite. 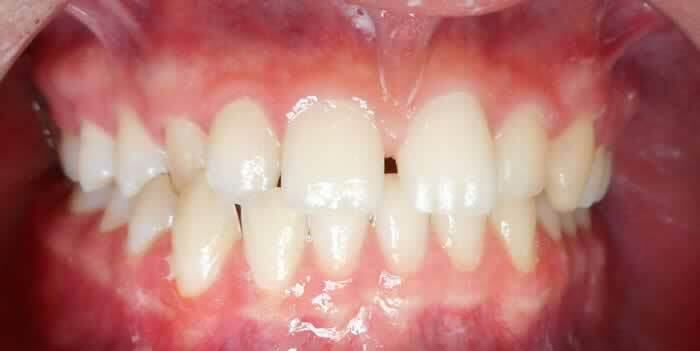 We decided to correct them with 6 months smiles cosmetic braces. 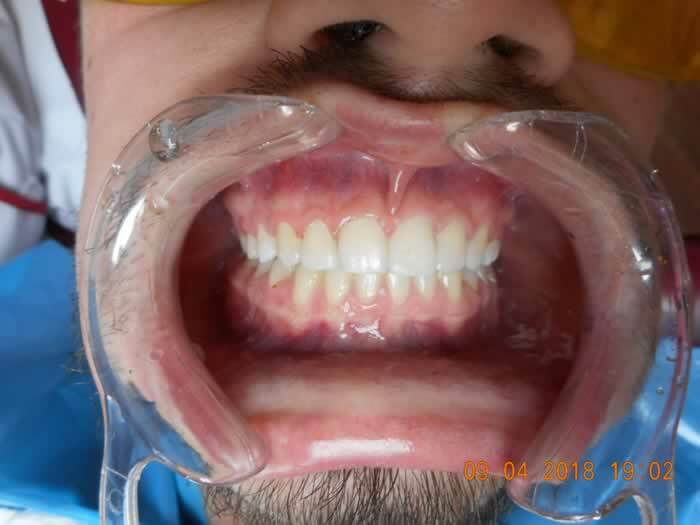 The treatment was done over 9 months, and after removing the braces we improved the appearance of his teeth with composite bonding. He was delighted with the results.